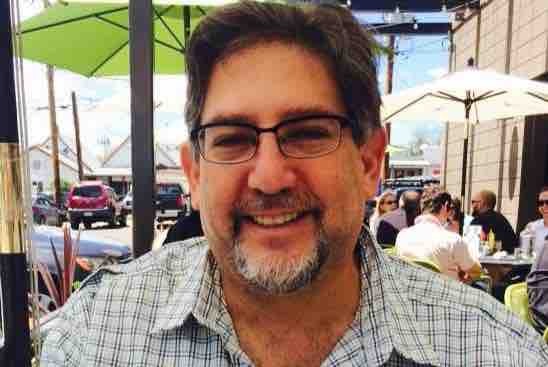 Fundraiser by Mark Lasser : Send Mark Lasser to the DNC! Send Mark Lasser to the DNC! I am honored to be a delegate for Bernie Sanders. I am excited and commited to getting Bernie elected. While I knew that the trip to the convention would be be at my own expense it was a bit of a shock to find out that the negotatited price for the hotel is about $600 per night. Due to limited transportation options for me and the long hours that I am required to be at the convention (7AM-midnight) staying elsewhere is not an option. I am asking friends, family, and Bernie supporters to contribute even just a small amount to help offset some of these costs. Any funds you can help to support this effort no matter how big or small are greatly appreciated. I am also commited to advancing the issues related to blind individuals (and others with disabilities). One reason I decided to do this, was that I knew I would have an opportunity to speak with influencial people about promoting Section 508 (Blind Accessability) issues, repealing sub-minimum wage for people with disabilities, and addressing the 80% unemployment rate for blind individuals. I am happy to share that i finally received approval to bring a sighted assistant with me to Philly. Due to the tight timeframe a flight is going to be expensive. I appreciate any additional support to cover this expense. I'm just over 75% of the way funded for the convention. As many people have probably seen from my communications, we are having considerable difficulty getting reasonable accommodations for blind people at the convention. This is extraordinary and something that needs to be changed for the future. It's difficult enough to be a delegate and certainly challenging enough to be blind. But, considering there are hundreds of events in Philadelphia, and we cannot get credentials for sighted assistance, this is stressful. I can still use any help. I am not going to be supporting any candidate other than Bernie Sanders for the time being you have my word that any help I receive financially will be directed solely at promoting progressive causes. Friends, or about a month away from the convention in Philadelphia. Still working hard to get some of the issues that affect blind people discussed at the convention. Still working on getting an identifying blind delegates so that we can organize once we get to Philadelphia. I'm doing OK on fundraising, but definitely not there yet. If you can help with even a small contribution, it will help me to help Bernie. 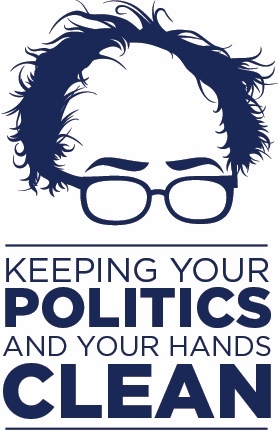 Anyone who helps with five dollars or more, will get one of the Bernie hand sanitizer bottles that say, "keeping your politics and your hands clean quote". I should have some of the bottles with me tomorrow at the pride rally, so definitely keep an eye out. As part of my fundraising, I made up these sanitizer bottles that say keeping your politics and your hands clean. I'm happy to send one to anyone who posts six dollars or more on this page. Just be sure to give me your address and I'll send one out to you. I'll do this every week or so. If you happen to be a delegate, and want me to just bring a bottle for you to Philadelphia, that's also cool. Mark this is great. Enough now coming in to help pay for your assistant/guide as it seems they should not have to fund themselves. I think you also got the funds for our wonderful denver Dems. This is all I can spare from my SS check, but it is well spent. GOOD LUCK, go for the "BERN". Best of luck in Philly!